With days to go before Tuesday’s start of CFL free agency, the BC Lions look poised to make a splash by throwing money at the best player available. 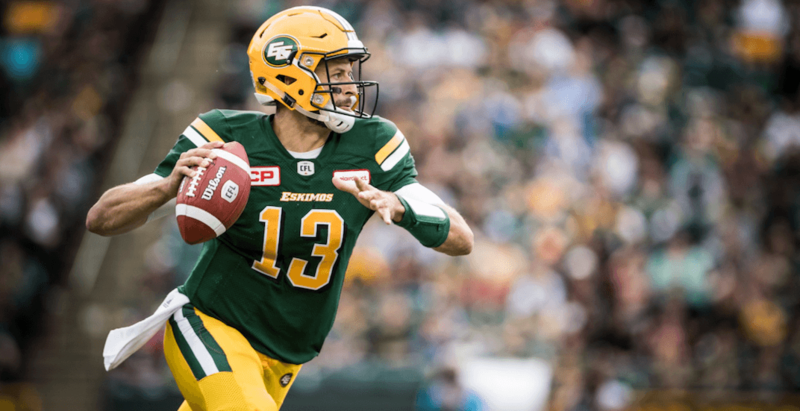 The Edmonton Eskimos have given permission to the Lions, among other teams, to speak with quarterback Mike Reilly according to a report by 3 Down Nation’s Justin Dunk. Both Jonathon Jennings and Travis Lulay are pending free agents, and given comments made by Lions GM Ed Hervey late last season questioning Jennings’ work ethic, it’s a safe bet that the team will be bringing in a new starting quarterback. Reilly, the reigning CFL passing yards leader, is the most obvious candidate. The 34-year-old spent parts of three seasons in BC and has a relationship with Hervey from their days together in Edmonton. The Kennewick, Washington native was the highest-paid player in the CFL last season, earning north of $500,000. He’s in line for a raise in the $700,000 range, according to 3 Down Nation’s sources. Reilly completed 418 of 621 passes last season, throwing for 5,562 yards, with 30 touchdowns and 18 interceptions. He would be a welcome addition for Lulay, too. The pair have remained close since they were teammates in BC, with Lulay serving as a groomsman at Reilly’s wedding. This time it would be Lulay, 35, backing up Reilly. It could be a free agent period full of turnover for the Lions, who have yet to sign their top two receivers, Manny Arceneaux and Bryan Burnham. League-wide, there could be a quarterback carousel, as six of the CFL’s nine starting quarterbacks from last year are still unsigned. Bo Levi Mitchell is the best-unsigned player, but he may test his abilities in the NFL. Other big names available include Ricky Ray (Toronto), Trevor Harris (Ottawa), and Zach Collaros (Saskatchewan).